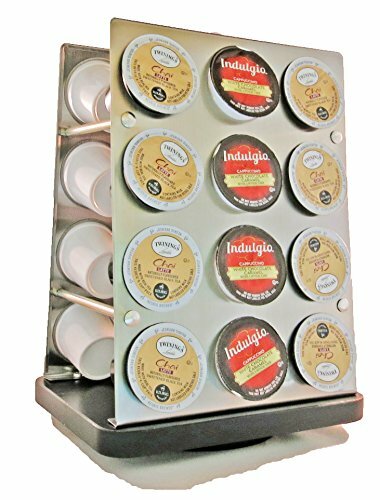 The Palais Modern Revolving Carousel Tower is a simple and convenient way to keep your favorite k-cup packs at your fingertips. This countertop accessory features a lazy-susan base for simple rotation, Holds 24 cups. If you have any questions about this product by Palais Dinnerware, contact us by completing and submitting the form below. If you are looking for a specif part number, please include it with your message. Rooster Farmhouse Coffee Pod Holder. Metal.